It is indisputable that the Internet’s benefits are innumerable and that its invention has been a transformative event in the history of our world. However, when users have trouble balancing their online and offline worlds, mental health can certainly suffer. There are some folks for whom Internet use takes the form of addiction. While no standard definition of Internet addiction currently exists, it is widely thought that those who are in the throes of this type of obsession are characterized by their inability to meet family, professional and other duties because they spend so much time online. Their fixation with the Internet also begins to cause friction with loved ones. Individuals in this category tend to feel withdrawal-like effects when they are unable to access the Internet. An apparent preoccupation with online activity is one such warning sign, including obsessive thoughts regarding prior Internet activities or when the next such session can take place. Another troubling signal is an escalation in the amount of time spent online before full satisfaction is achieved. Addiction can also be characterized by a series of unsuccessful attempts to curtail online activities, during which depression, anxiety or irritability ensue. Spending far more time online than believed or intended is another signal that an addiction may be in play. It is also cause for alarm if close relationships, employment prospects, educational achievement or other important things are put at risk due to excessive Internet activity. Dishonesty with mental health professionals, spouses or other family members about the extent of Internet use is another dangerous signal that may arise. Those who see the Internet as a means of escape from life’s struggles may indeed be suffering from a full-fledged Internet addiction. It is important to realize that Internet Addiction Disorder is akin to other types of dependencies in that it impacts the brain’s pleasure processing center. As such, Internet use sparks a dopamine release that gives the feeling of immense pleasure. As time passes, it is necessary to do more of the activity in question in order to achieve the same type of high. The result is an actual dependency on the activity. Therefore, those who get a rush from online shopping or gaming will eventually need to spend increasing amounts of time doing these things if they are to recreate the pleasurable feelings they desire. Also useful in explaining Internet addiction is the VRRS theory (Variable Ratio Reinforcement Schedule). According to this line of thinking, addiction to online activities including shopping, gambling, gaming, social media and the like, is due to the fact that these things offer layers and layers of payoffs. This is because constant online activity brings numerous rewards that cannot always be anticipated. For instance, each new perusal of Facebook may bring a new and different piece of unexpected news. Perhaps you learn of a cousin’s engagement or the birth of a friend’s baby. You may see a piece of juicy gossip about a romantic prospect. The entertainment factor of these surprise tidbits is what brings users back to see more. Similarly, multiplayer online games such as World of Warcraft are fertile ground for Internet addiction, because they go on indefinitely with no forseeable conclusion. It is unwise to neglect the possibility that biological predisposition to addiction such as that related to the Internet is another key contributor.Those struggling with this addiciton may in fact have lower levels of serotonin and dopamine in their bodies than those who are not. A chemical depletion of this sort may give rise to the need to engage in additional amounts of a given behavior before the pleasurable reaction is attained. Such individuals need to do more of an activity to receive the sought-after response, and this can pave the way to true addiction. Depression and anxiety can also be critical precursors and key factors to the development of Internet addiction. Those already facing these mental conditions may indeed look to online escapism as a way to alleviate their emotional pain. Those with social anxiety or simple shyness may also run a greater risk of addiction in this realm. The Internet is often seen as a way to bridge the gap or replace what such individuals feel is missing from their real lives. Those with social awkwardness may favor online interactions because they are less stressful than face-to-face contact with others. Again, much like other types of serious dependencies, Internet addiction has the potential to cause familial, marital, financial and professional problems that can be difficult to overcome. The disruptions and misalignments of personal relationship that stem from too much online activity are very real and threaten the stability of lives. Those with an Internet addiction generally spend a great deal of time alone, separated from normal social interaction, and the resulting stigma can be incredibly harmful. Disagreements about acceptable Internet use are likely to erupt within households, causing afflicted individuals to grow more and more dishonest about the true amount of their online activity. Relationships that were once healthy and strong can be irreparably harmed. In some cases of Internet addiciton, those affected will generate an online persona through which they present themselves as someone quite different from who they are in reality. Those with poor self esteem are at the greatest danger of falling victim to this sort of escapism. Sadly, anxiety and depression related to such behavior can develop. When addicted individuals try to cut down on their online activity, it is common for them to feel serious withdrawals that can include mood swings, anger, sadness, restlessness, irritability and even certain types of physical manifestations. Internet addiction has also been known to cause pain and maladies including headaches, dry eyes, Carpal Tunnel Syndrome, eating disorders, neglected personal hygiene and sleep disorders. In order for any treatment plan to be successful, it is first necessary for the affected individual to fully admit and acknowledge the problem. This can prove challenging, particularly if you are accustomed to the no-limits, no-accountability atmosphere the Internet seems to foster. Being an anonymous keyboard warrior can protect you from the consequences of what you say and do, making it tough for some to re-enter the real world. Experts have disagreed as to whether or not formal treatment is required for Internet addiction. There are those who suspect that this “addiction” is something of a fad and is easily resolved without major intervention. Research indicates that self-governing initiatives are possible and effective. Some such behaviors might include using software programs that limit the length and scope of online activity. One area of agreement, however, is that abstaining from Internet use entirely is not likely to work in the long run. There is also a school of thought that says medication should be tried as a treatment for Internet Addiction Disorder because it is often related to underlying problems of depression and/or anxiety. Many believe that addressing those base causes will result in resolution of the Internet addiction as well. Research has shown that anti-depressants do indeed impact the time spent online, with some patients seeing dramatic reductions in hours per week. Engaging in increased levels of physical exercise can also be a powerful remedy, as it boosts serotonin and therefore reduces Internet dependency. 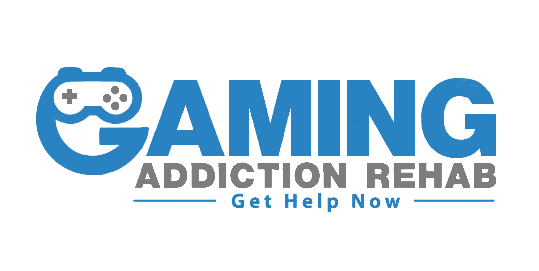 Common methods of addressing Internet addiction encompass things such as behavior modification, individual or family therapy, cognitive therapy, dialectical therapy, art, equine and recreation therapy and more. Given the growing numbers of individuals suffering from Internet addiction, it is not surprising that treatment programs are cropping up all over the world. In the past, electro-shock therapy was attemopted as a way to treat Internet addiction, though this technique is no longer used. In 2009, Seattle’s ReSTART residential program was launched to treat those with a pathological dependency on computers. 2013 saw the introduction of a keyboard device capable of delivering a low-voltage shock when certain websites were visited. Center and programs across the country now exist with the aim of decreasing the number of those truly addicted to the Internet. Multimodal therapies and treatment plans have been used to treat many cases of Internet Addiction Disorder. Under such programs, patients may elect to participate in intensive psychotherapy while also using prescription medication to control their dependencies. As with most such conditions, a customized approach may be the most effective way to curtail Internet addiciton once and for all and reclaim a normal life.